I discovered CrossFit in 2011 by watching a recap of that year’s CrossFit Games and thinking to myself…“That looks like fun.” From then on I was hooked. I had been doing strength and conditioning since I was 14, and Olympic Lifting since I was 18, but nothing compared to CrossFit. I found something that I could be competitive with myself everyday, not just the few times a year that a post-collegiate track meet could offer. I loved how CrossFit incorporated many different modalities and movements into one training methodology. My desire for technical perfection in all movements, along with sharing my knowledge with others, is what drove me to start coaching. 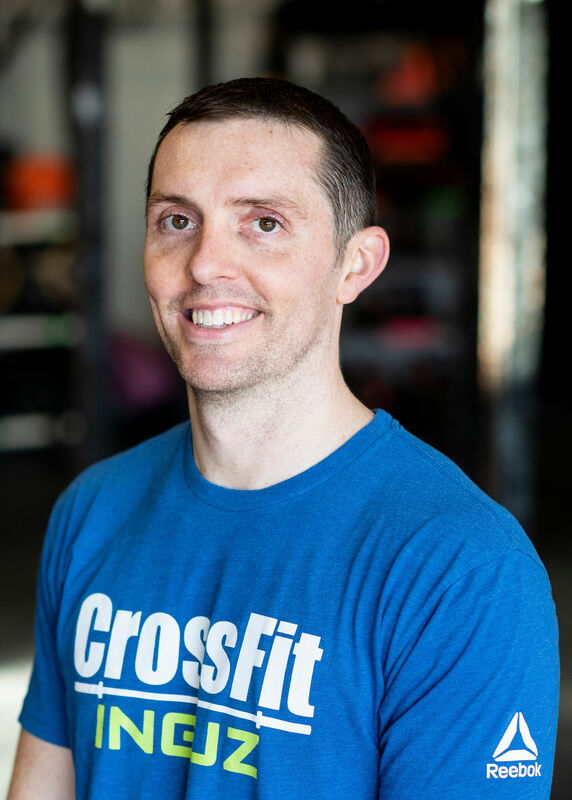 I owned an affiliate-on-the-go (CrossFit 367) for two years before joining the wonderful community here at CrossFit Inguz. I enjoy learning more everyday concerning all-things-fitness, and bringing that knowledge to the athletes here at Inguz.